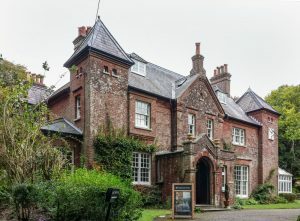 Dorchester is a quintessential Dorset market town with its roots dating back to Roman Times, it is most well known due to its association with its most famous son, the novelist and poet, Thomas Hardy. Evidence of the Roman settlements still exist to this day, the remains of the Roman walls that surrounded the town can still be seen, along with the foundations of a town house near the county hall. Over the years, there have been many discoveries of the Roman way of life and the County Museum is testament to this, which contains many Roman artefacts. The architecture of this bustling town is predominantly Georgian. During the 17th and 18th centuries, Dorchester suffered a number of serious fires, the first in 1613, the second in 1622, the third in 1725 and the fourth in 1775. These fires helped shape the town and buildings that we know today. It was the 1613 fire that was most devastating and resulted in the destruction of 300 houses and two churches meaning that only a few of the town’s early buildings survived to the present day. 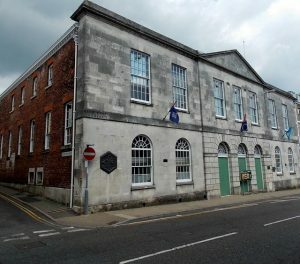 As a result of these fires and due to the financial growth of the town an upsurge of replacement buildings were constructed during the 17th and 18th centuries which explains the abundance of Georgian buildings, famed for their sash windows and Portland stone. There is a total of 293 structures within the Dorchester parish that are listed by Historic England for their historical or architectural interest, including five that are Grade I listed and sixteen that are Grade II Listed. With so many heritage buildings in the area, sympathetic restoration and building works is often required so that as many of the original features of the buildings can be retained. HRG Services Ltd have carried out numerous projects in the Dorchester area including sash window restoration and stone cleaning. If you require our expertise on your restoration project in the Dorchester than do not hesitate to give us a call on 0800 246 1947 or contact us for a free site survey.